A dissident republican weapons haul containing guns potentially used in police murder bids has been discovered in a residential boiler house that caught fire in Belfast. Two AK47 assault rifles, two sawn-off shotguns, a high-powered rifle with a silencer fitted, three pipe bombs and more than 100 assorted rounds of ammunition were stored in the building that went on fire on Rodney Drive in west Belfast on Wednesday. Police believe the weapons belonged to the so-called 'New IRA' and may have been stored in the outhouse without the knowledge of the resident of the home. 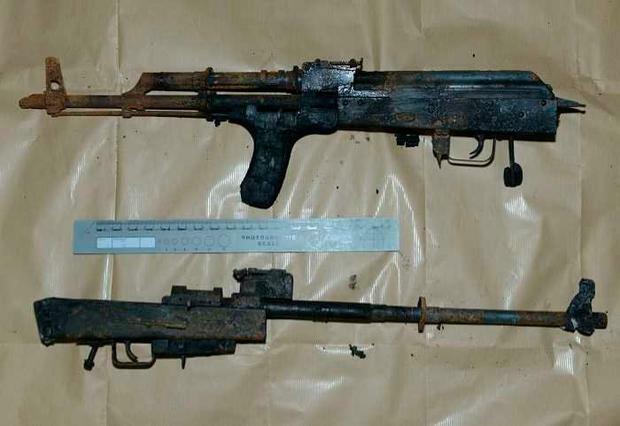 Detective Superintendent John McVea, from the Police Service of Northern Ireland's terrorism investigation unit, said: "We firmly believe these weapons belong to the New IRA." 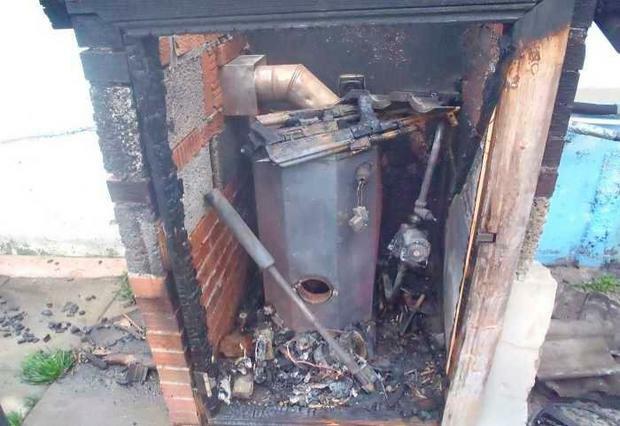 The guns, bombs and bullets were stored on top of an operating domestic boiler and officers believe the blaze may have been triggered when one ignited due to the heat. "It beggars belief that anyone would store items as volatile as bombs and bullets in a hot environment," said Mr McVea. "This is simply reckless, it is stupid and it shows total disregard for the safety of local residents. "Anyone with an ounce of sense would have known that live ammunition and pipe bombs mixed with heat is a recipe for carnage." 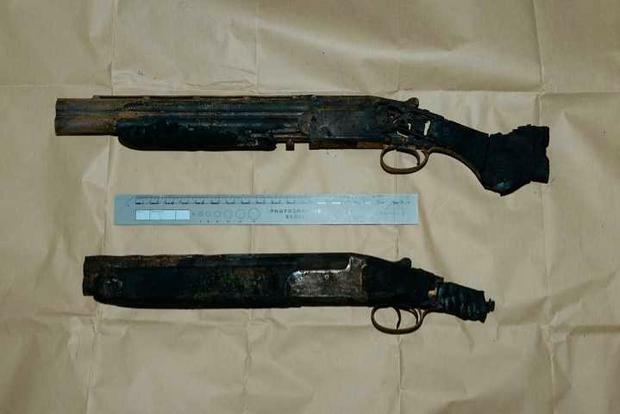 Police believe the AK47s may have been used in two separate dissident attacks on police - one in the Rossnareen Avenue area of west Belfast in November 2015 and the other on a garage forecourt on the Crumlin Road in north Belfast in January 2017. In the second attack, a policeman survived despite being shot three times in the arm when gunmen opened fire on him as he got out of a parked police car at the Crumlin Road garage. Officers said it was miracle no members of the public were also shot as bullets flew across the busy petrol station forecourt. Mr McVea said: "The Crumlin Road shooting in particular was reckless and showed total disregard for members of the public as bullets entered the filling station shop, narrowly missing customers and passing motorists." "We are lucky there hasn't been significant injury as the fire developed," he said. Mr McVea said the violent renegades who owned the weapons were "beneath contempt". "I am asking the community to stand up against these parasites," he added. Mr McVea said it was possible the resident of the property was unaware and had been "exploited" by the terrorists. Mr McVea said the cause of the blaze was still under investigation but said it was possible one of the illegal items stored on top of the boiler had sparked it. "It is no surprise to me that when you store pipe bombs and ammunition on top of a hot boiler, that is just a recipe for carnage, so that might well be the cause (of the fire), but that's still under investigation," he said. The investigating officer declined to be drawn on the suggestion the weapons had been moved ahead of another planned attack on police. "The one thing I am pleased about is that these weapons are no longer in the hands of the terrorists and they have been put beyond use," he said. He added: "It's a significant haul of weapons in today's terms within terrorism and it is with pleasure that these weapons are no longer in the hands of these terrorists." Mr McVea said the New IRA still posed a "severe threat" despite the weapons seizure. In the first attack, a police car patrolling Rossnareen Avenue was riddled with up to eight bullets.